Non-adjustable hand levers are the results of modern industrial design: glass fiber reinforced thermoplastic handle with molded-in metal insert. 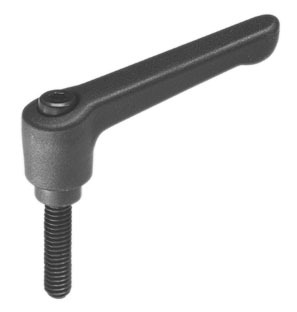 Handle and tapped insert are assembled together via the screw and bushing. 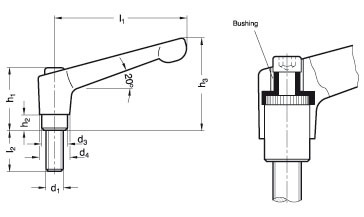 The solid steel tapped insert allows the operator the ability to apply additional torque where needed to the item being clamped or fastened. Maximum heat resistance: 100°C (230°F).